Die Kategorie „Standard“ besteht aus JP-Australia „epoxy“ der Groessen 125 L bis 145 L und JP Funster und JP Young Gun . NeilPryde und North Sails aus dem Riggpool. Segel aus der „Standard“ Kategorie haben die Groessen 3,4 bis 7.3 qm, aufgeriggt auf Carbonmasten mit 35% bis 80% Carbonanteil. The youngsters will have fun from the very first minute It comes with a full EVA deck to protect the youngsters‘ legs and arms when playing around on the board. It is a very stable platform. Every youngster will be able to sail back and forth within hours. Great beginner, fun and family board. Masts: Unifiber 60% to 80% carbon. into freeride mode. With forgiving handling and full HD construction. Sitting right between the wave and freeride programs, the Fusion offers a flavor for every taste. 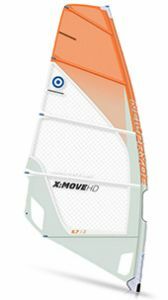 More stable and more drive than a traditional wave sail, while lighter, more maneuverable and playful in the waves or in the air than a freeride sail. Use anywhere, in any wind strength, on any water condition. Learn the basics, jump, catch a wave, or get into freeride mode, because on any given day, you can be one or all of these. 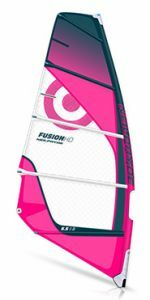 With forgiving handling and full HD construction, the Fusion is perfectly fitting on freewave/freemove/freestyle-wave boards. Masts: North Red 35% and Silver 55% carbon. The brand new E_TYPE is exactly the type of sail to help windsurfing to regain its real fascination. Windsurfing has never been so relaxed and exciting at the same time! The extremely versatile E_TYPE combines handling and rigging advantages of a NoCam sail with a very lively power delivery and top speed. All E_TYPE sails have a size and range-specific batten amount. Sizes 5.0 to 5.8 come with 5 battens, up to 7.3 come with 6 battens. 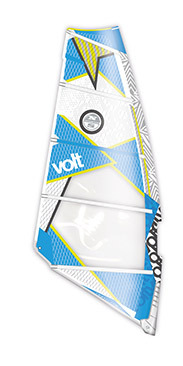 In the smaller sizes the brand new VOLT is oriented towards the requirements of the wave riders, in the larger sizes towards the freestylers. 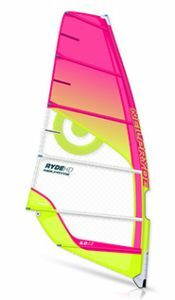 The result is a sail line that can confidently be called the ultimate all-in-one freestyle wave range. No other NorthSails sail adapts to the conditions so brilliantly and sailors are so enthusiastic about the huge range of use. Thanks to a short luff the new VOLT feels extremely compact and neutral making for incredible handling characteristics. Masts: Unifiber 60%to 100 % carbon. The RPM is tailor made for the demanding recreational sailor. There is no compromise with the performance of this six and seven batten no cam engine. It comes very close to the limits of a true slalom sail but without the cams, and the benefits of simplified rigging and handling. The sail adapts to any kind of conditions whether riding in angry chop or ironed flat. A wide variety of trim settings provides a massive wind range. Die Boards/Fixboards sind bei uns einzeln fest zu reservieren, so dass dein gewaehltes Board waehrend deines Aufenthaltes fuer dich jederzeit zur Verfuegung steht. Falls du im Voraus ein „Standard“Board gebucht hast, kannst du natuerlich auch, falls diese gerade frei sind, die anderen „Standard“ Boards nutzen. Wie immer reservieren wir nur weniger als 50% unseres gesamten Materials fuer unsere vorausbuchenden Gaeste, um das hoechstmoegliche Verhaeltnis von auswechselbarem Material zu Gast anzubieten . Wenn Du Dein eigenes Trapez und Surfanzug hast, empfehlen wir dies mitzubringen . Der Surfclub hat einige Surfanzuege und Trapeze zu guenstigen Preisen zu vermieten .